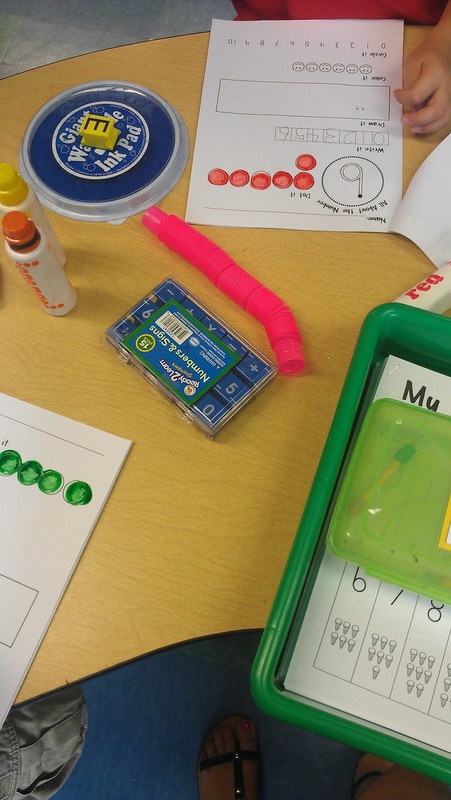 Kindergarten Schmindergarten: Dictionaries, Numbers and Freebies! So if you read my post yesterday, you should know that today was a successful day with everyone keeping their clothes on!! Woo Hoo!! 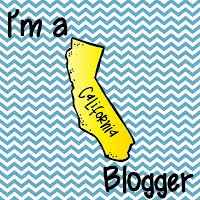 If you didn't read my post yesterday, you HAVE to read about my day. Has anyone seen that new spot on TPT called New Product Requests? I find it on the My Sales page. Well I was looking at my TpT account the other day (because I track that thing like noone's business) and I started reading some of them. I was scrolling through and thinking, "Nope! Not an 8th grade teacher. Nope! Not a science teacher. Nope! I don't have any of my own clip art to sell. Nope! Can't do that. Hey! I can do that! That seems easy peesy!" So I emailed the person who requested it, told her my info, crossed my fingers that she didn't send me a virus and started creating for her! I asked her questions about specifics, she gave me an idea to go by and that was that. 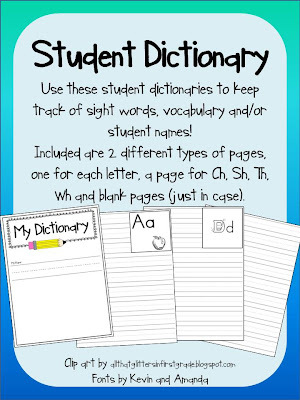 I created the Student Dictionaries for her and it was exactly what she needed! I was so excited that I could help her AND even more excited that I could sell it to her. She showed me what she was looking at purchasing and I saved her about $75 so we both scored. 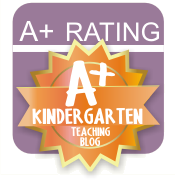 Thanks TpT! 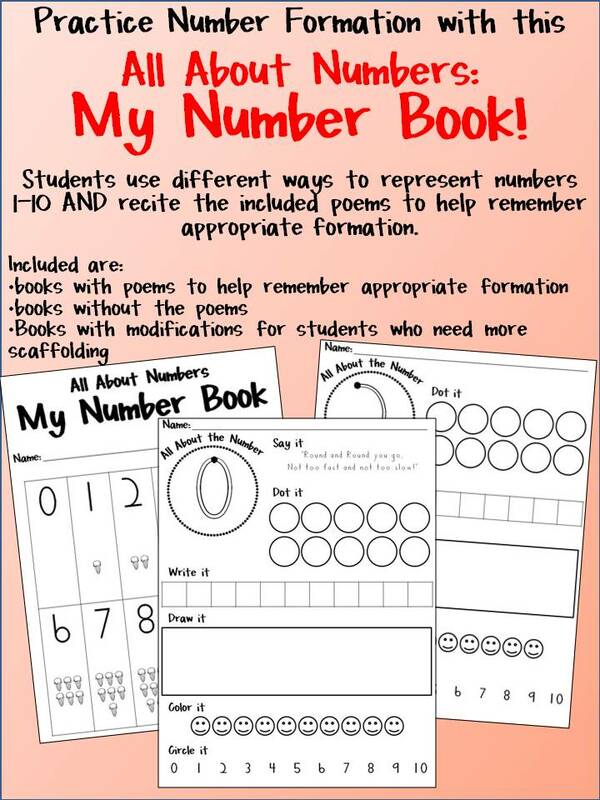 I also wanted to show you all the number books we have been working on in class. These have been my favorite this year! 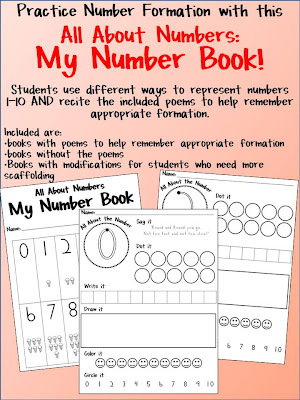 We always work on numbers and number formation for a long time and these books have been wonderful! 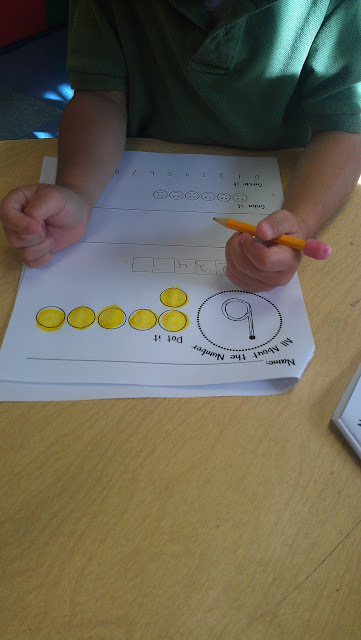 There is one for each number where they are counting, writing and saying the numbers 0-10 repeatedly. We broke the book up into pieces and started with 0-2 then moved on to 3-5 and now we are working on 6-10. It has been really great too because the students have the routine down on how to complete the task so I can really focus on the formation of the numbers. They love it and so do I! We use cute poems to go with the numbers and the Handwriting Without Tears formations. 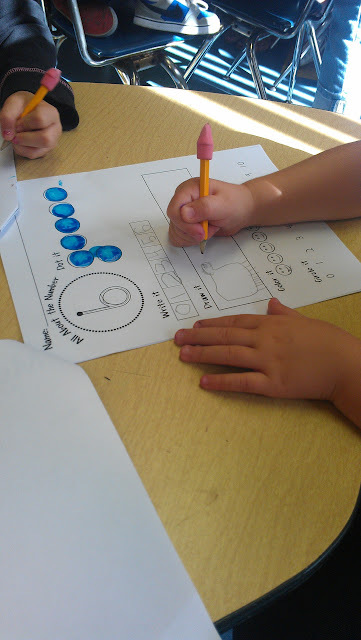 HWT is a great handwriting curriculum that really focuses on the fine motor movement of letters. Love it! I have this on my TpT store as well. Want one of these? Be one of the first three to comment and this baby is all yours! Ok one more time... Comment if you want a dictionary, comment if you want a number book or comment because you love me and my blog! lol. Let me know which you want! I love them both! Awesome job!! They both look great and I'd love them! I'm sending them soon, Brandi! LOL! Of course I'm always a little late to the party! I read your blog about yesterday and totally could picture it happening in my mind! Hope you don't mind that I got a chuckle out of it because our days are never dull in Kindergarten!!! 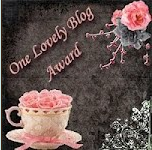 !I love your blog and your products. I will put them in my wishlist!